Mauriora @ Elm Park School: Wish you were here. 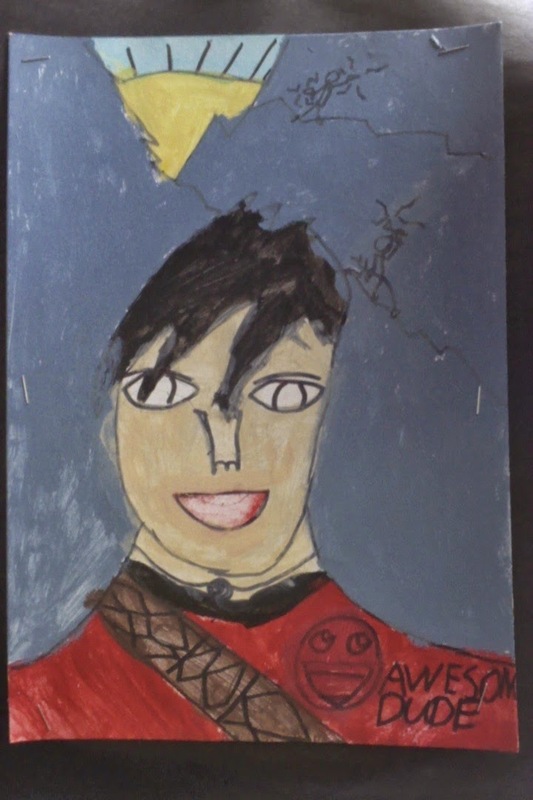 This is my self-portrait that i painted at Te Tuhi art gallery. Wow MK - I love this picture. You've done a fantastic job with the detail. I also think the message on your t-shirt is cool - you are an awesome dude!!!!! Wow MK - this picture is fantastic. I like the colours you've used and I totally agree with the message on your t-shirt - You sure are an AWESOME DUDE!!!! This makes me think of Michael Jackson when I look at your self-portrait Mauriora. I love it!